There are some times when being an elected official is just plain fun. 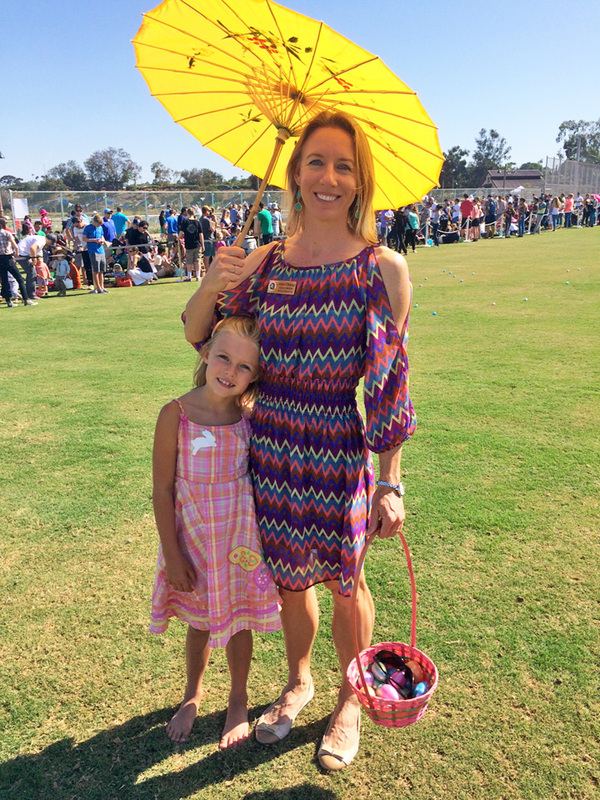 Introducing the city’s Spring Egg Hunt last weekend was one of those times. My heart swelled with pride that Encinitas can provide such a well-designed and well-built 44-acre community park for our residents. 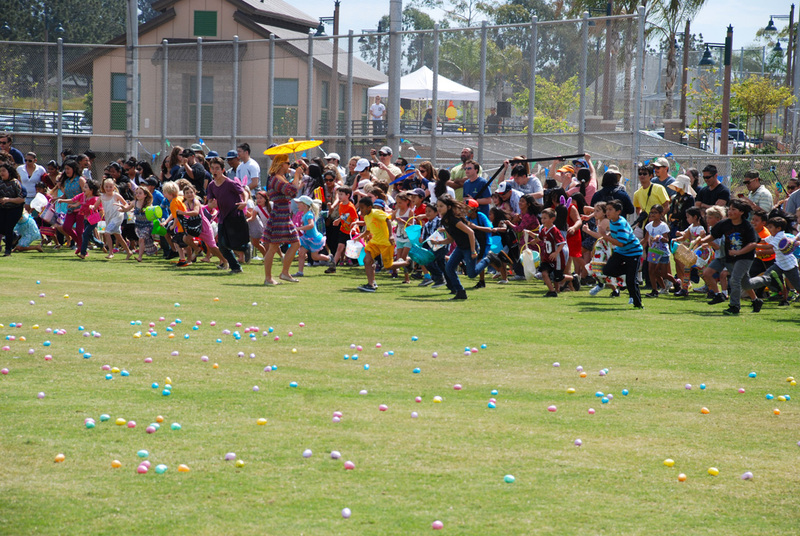 Seeing the thousands of eager children charge toward the eggs delighted me to no end. This week at the Encinitas City Council we pushed the ball forward on several ongoing projects. Housing Element Update: Every city is required to have a plan that would allow new housing for all income levels in order to accommodate the state’s growing population. In Encinitas’ effort to adopt a plan for future housing, the City Council opened the doors wide for a community group to come forward with its own proposal that would satisfy state laws. The Encinitas Taxpayers’ Association, led by community activist Bob Bonde, dove into this complex, highly-regulated issue and proposed a solution for the City Council to consider. It’s easy to stand on the side and criticize decisions made by elected officials. It’s much harder to spend hours researching the law, ask questions of city staff, form new ideas, and put together a plan. The proposal from the Taxpayers’ Association helped me personally understand nuances that had previously escaped me. I thank them for this. Based on their proposal, the City Council directed the city staff to include a new site as a possibility for future housing–the water district property on Santa Fe Drive adjacent to the freeway. The fact that the city invited these proposals, and that a group took the time to engage on the substance, shows me that democracy and open government are alive and well here in Encinitas. From my perspective, the Community Based Housing Element Map Group’s proposal was a success. As my colleague Council Member Lisa Shaffer said, citizens, staff and Council all need to work together to find a solution that the citizenry will ultimately embrace. Pacific View Update: The City Council and the public had a robust and thoughtful consideration of different ways to get the former school known as Pacific View operating as an arts and cultural center. We opted to proceed with the subcommittee’s suggestion to hire an architect, Westberg + White, to prepare an assessment of what is required to get the buildings compliant with codes. All members of the City Council seem properly concerned about minimizing costs. Therefore we wrestled with whether to choose an operating partner before or after hiring the architect and decided unanimously (with Mark Muir absent) that it would be wise to have an outside assessment of the building before evaluating proposals from possible operating partners. There are always many ways to approach a problem, and I believe Council Members Lisa Shaffer and Tony Kranz, the subcommittee members, are doing a thorough job of considering ideas at public meetings, evaluating options and suggesting proposals that are both economic and pragmatic. Leucadia Streetscape Update: The city has been planning to give the section of Highway 101 through Leucadia a makeover or a “streetscape.” Streetscape projects add sidewalks and bike paths, plant trees to restore the tree canopy, add parking, slow traffic and generally create a more walkable and pleasant environment. This is good for businesses, good for residents and good for the environment. In Leucadia, we’ll see roundabouts too, with the first one being constructed at the Coast Highway and La Costa Avenue. For various reasons that aren’t entirely clear to me, this project is taking a tremendously long time. The first proposal began in 2007, and construction is planned to start in 2017. It’s important that we, the elected leaders, keep the fire burning under the project so it moves forward without unnecessary delays. I know we can’t hurry outside agencies such as the Coastal Commission but we can make sure our own house is in order. The Council as a whole seems to agree that it’s preferable to fund 100% of the construction drawings, but this decision won’t be made until our upcoming budgeting meetings when we consider all budget decisions together. Mediation Subcommittee. When I started this gig five months ago, I teamed up with Council Member Tony Kranz to work on proposing a form of mediation for controversies that go all the way to the City Council on appeal. Both Council Member Kranz and I wanted to find a way to use mediation in Encinitas–he had already proposed mediation as an item for future consideration when I was elected. Having been through a city appeal as an attorney representing a small farm in a dispute with neighbors and the planning department, I feel very strongly that the high emotions on both sides might have been diffused, and possibly a resolution reached, by utilizing mediation. But we currently don’t have a program for that, and so neighbors pitted against each other found themselves facing off in a public, messy, emotionally taxing City Council appeal. The court system has had a successful mandatory mediation program for years. Our neighboring city of Carlsbad offers a free mediation program for residents in disputes about things like animal nuisance issues or hedge, tree and other boundary disagreements. The mediation subcommittee will be presenting a proposal to the public later this month in order to receive feedback. We’ll modify or amend the proposal based on your ideas, so please come! If you would like to receive emails about this issue or stay informed of relevant dates please ask Erin Chapman, at ECarrera@encinitasca.gov to be put on the Mediation List. Urban Agriculture, a.k.a. the Neighborhood Food ordinance. When I was elected, this subcommittee was well underway, with Council Members Lisa Shaffer and Tony Kranz having held several public meetings. Given my interest in this topic, and given Council Member Shaffer’s full plate with other subcommittees, she allowed me to take her spot. On Tuesday, April 21, from 11 a.m. to 1 p.m., at City Hall, the subcommittee will present the new proposed ordinance. The highlights include being able to grow food on your land (if it’s less than two acres) by right, and sell that produce at a fruit stand, a farmer’s market or a restaurant, without needing to get permits from the city. There are also guidelines regarding bees, chickens and urban farms larger than two acres in the proposed ordinance. Cities across the country are updating their zoning codes to make urban farming easier, less administratively burdensome and therefore more likely to occur. In Sacramento, as the City Council was approving its urban farm ordinance this week, the community said they wanted to get “farm food to every fork.” An article about the Sacramento City Council approval is here. In Encinitas we are blessed with a year-around growing climate and a populace interested in growing clean, local food. If and when the City Council passes a Neighborhood Food ordinance, I know many residents will be happy and potentially healthier! Many worthy events take place in Encinitas year around, and one of my favorites is the Encinitas Garden Festival, where you can walk around other people’s gardens and see what magical, enchanted spaces our neighbors create outside. The horticultural heritage of Encinitas will be on full display. You can get tickets here for the event this coming Saturday, April 18, 2015.